more than five entries. Home-schooled students also are eligible to enter the contest. Contest details and forms are available online at MyFWC.com/Manatee<http://myfwc.com/WILDLIFEHABITATS/manatee_index.htm#Decal>. public education. Vehicle owners can support manatees by including their donation when they register their vehicle or vessel. All entries must be the sole, original work of the artist. Student artists must attend a Florida public, private or home school for high school, grades 9-12. Art teachers may submit no more than five entries per school. 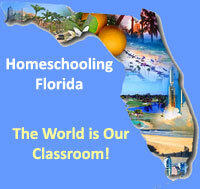 Home-school parents may submit one student entry per home-school group. The designs should be in full color, using acrylic, gouache, oil, silkscreen, woodcut and/or digital art. The design may be realistic or abstract, as long as the image depicts a recognizable manatee. Designs must be formatted to an 11-inch by 8.5-inch horizontal format. The winning image will be cropped for an oval or circular border. Artwork should be affixed to a backboard and covered loosely with a protective covering. Entries must be postmarked on or before Jan. 28, 2011. Failure to follow any of the requirements will disqualify entries from being considered for the contest. FWC artists and biologists will judge the entries in February. The winning design will be used to create a final decal for distribution through county tax collectors’ offices around the state. To view previous manatee decals, go to MyFWC.com/Manatee<http://myfwc.com/WILDLIFEHABITATS/manatee_index.htm>. For more information, please contact Bonnie Abellera at bonnie.abellera@MyFWC.com<mailto:bonnie.abellera@MyFWC.com> or call 850-617-6052.